Imogen Owen on TV this Sunday! > News > Uncategorized > Imogen Owen on TV this Sunday! 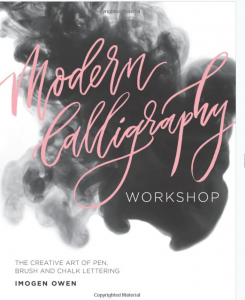 Tune in to Channel 4’s Sunday Brunch this weekend (Sunday 19 March) to see our very own Imogen Owen talking about her new book on modern calligraphy.